A new spinoff of the hit AMC zombie series “The Walking Dead” will start filming its debut season in Virginia this summer, the state’s governor said Monday. In a statement, Gov. Ralph Northam, D, said 10 episodes of the show will feature two young women coming of age in the wake of the zombie apocalypse depicted in “The Walking Dead,” an AMC ratings blockbuster now in its ninth season. The show, the second AMC series to film in the state after the Revolutionary War spy drama “Turn,” will begin shooting in central Virginia this summer, according to Northam. 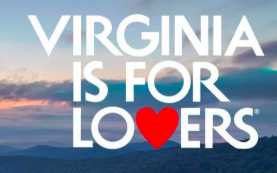 Film production brings more than $800 million to the Virginia economy, according to a statement from Brian Ball, the state’s secretary of commerce and trade, who valued the economic impact of “Turn” at more than $200 million. The new series will also be eligible for a Virginia tax credit depending on how many local workers are hired. See more at LMTOnline.